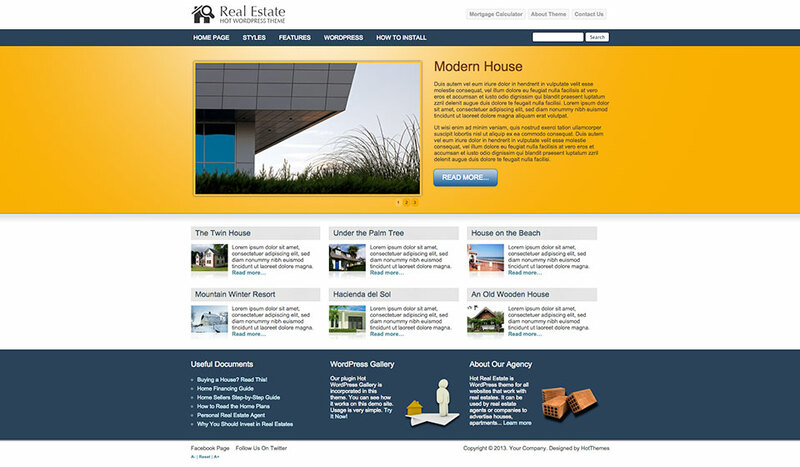 This theme is dedicated to all sites related to the real estate industry, especially for real estate agencies. 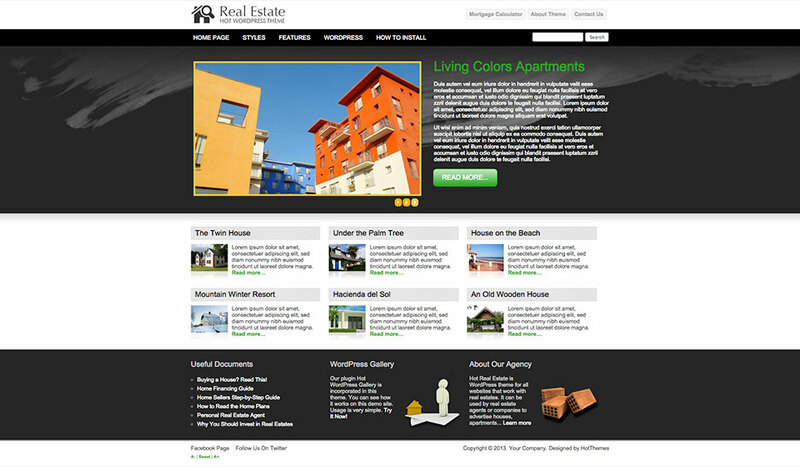 Real Estate WordPress theme can be used for real estate agents’ sites. Hot Real Estate is suitable for companies that advertise houses, apartments and other kind of properties for sale or rent. 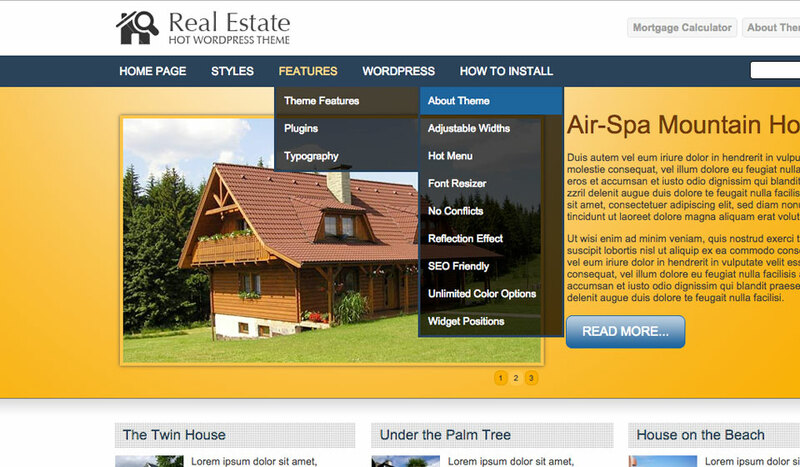 This theme is powered by two commercial and one free plugin. 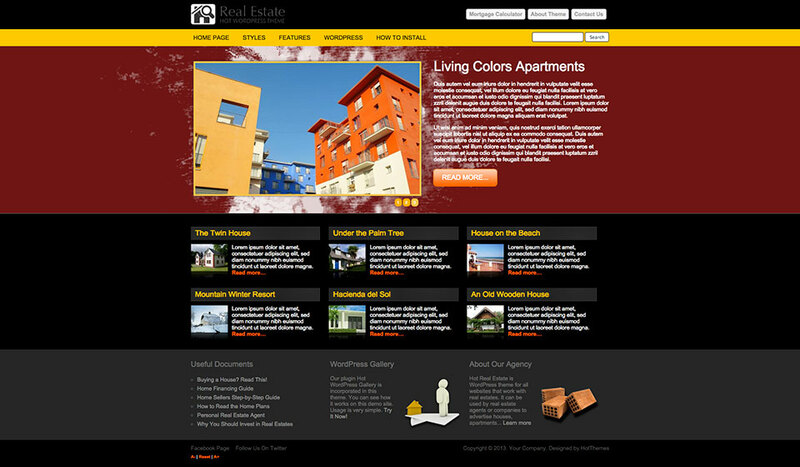 On the front page of Real Estate WordPress theme, you can see the big rotator of posts. 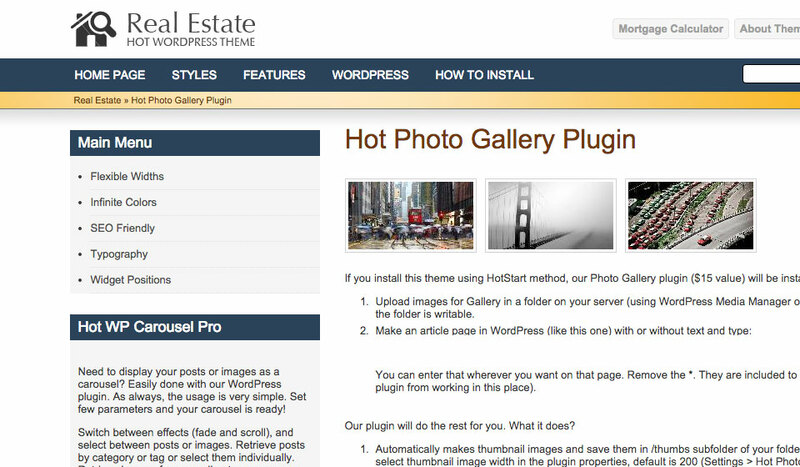 This is widget created by the Hot Carousel Pro plugin. On the posts and pages, there are small images of real estates that open a slideshow. This is created by the Hot Photo Gallery plugin. 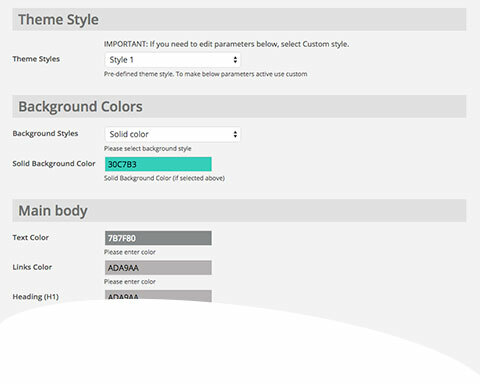 We will include of these plugins in the theme package free of charge. Finally, there’s a page with a mortgage calculator (3rd party service) which may be useful for property buyers. 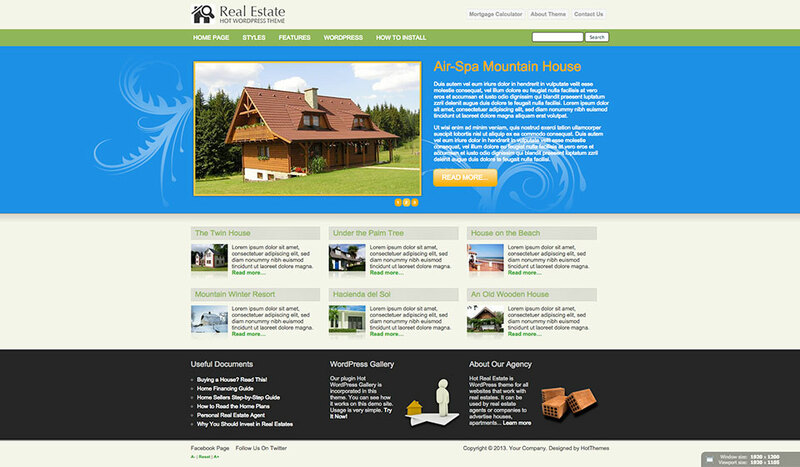 After initial HotStart installation, you will get an exact copy of this demo on your site. For help regarding the HotStart installation, please read PDF instructions that comes with the theme. 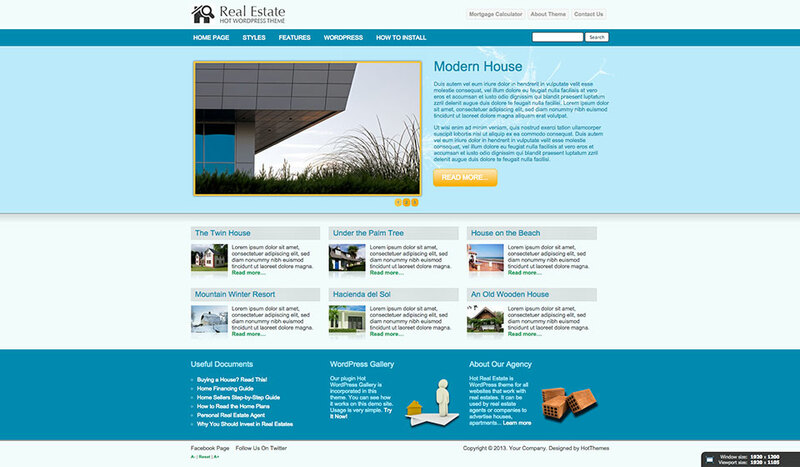 After installation, you can simply change the demo data of the Real Estate WordPress theme with your real data. As you add new posts, they will appear in the front page in the six blocks under the carousel. To change the number of columns (default is 3), please edit theme file main.php (3rd line). Number of articles can be changed in WordPress > Settings > Reading. If you want to show any post in the carousel, tag it as ‘featured’. It will be shown in the carousel and hidden from the list of other non-featured posts.